Do you own or do you plan to purchase a tablet computer in the next 12 months? 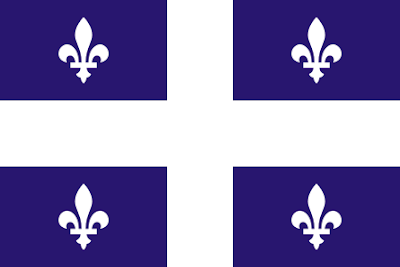 Welcome to the April "Going Digital: The Future of Digital Publishing & Mobile Computing - Cross Canada Spotlight on Quebec" issue of the MindShare Learning Report. It is ironic that this issue comes on the eve of the iPad's one-year anniversary. Who would have predicted over $15 million sold! 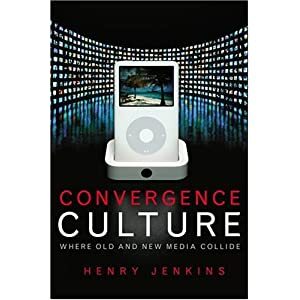 To Apple's credit, they have created a whole new category in mobile computing that spawned the proliferation of many competing devices, a couple of which we have reviewed in more recent issues. The good news for education is that new models for digital learning are emerging, while amazing learning applications keep popping up daily and the declining cost of computing will soon make one-to-one computing a reality. While there's quite a buzz about the new RIM Playbook, it was not available to us for a product review in time for this issue. Thank you to our readership, valued sponsors and advisory board. Collectively, you inspire us to bring you the best possible news and information to ultimately support student success. "In 2008 for example, only 21 percent of parents supported the idea of online textbooks; now in 2010, almost two-thirds of parents view online textbooks as a good investment to enhance student achievement." defining issues facing the ICT sector in Canada today"
The Quebec government has promised that every school in the province will have some sort of smart technology in classrooms within five years. DeMarque is proud to announce it has added more than 250 books in digital iBookstore. Among the titles that are now available, there are successful titles like "The revolution of shale gas," "Hell.com, and series Epizzod," Pavel "and" Psych spite of myself, "which are grouped in different categories. The iBookstore is included in the application iBooks, free iPad, iPhone and iPod touch. This campaign is directed at boys, because 22.6 per cent of male students leave secondary school without a diploma or qualifications. It is one of a number of actions taken in recent years by the Minist�re. Other initiatives include a campaign to promote nontraditional careers for women, an action strategy on student retention and academic success and the Heading for Success campaign. Through the College and Community Innovation (CCI) Program, the Government of Canada will support applied research projects in 11 community colleges that work with businesses to develop clean energy technologies, advance culinary innovation, and develop healthcare tools for professionals. The Canada Media Fund (CMF) announced today that its preliminary program budget for the upcoming year (excluding the $100M program funding allocation that was proposed in the federal budget) will amount to $271M. The funding allocated to each of the CMF's programs is outlined on the CMF's web site. The Youth Science and Technology Outreach Program connects tomorrow's researchers with today's leaders in science and technology. Smartphones, iPods and Personal Digital Assistants (PDA) are finding new ground in school districts across the United States as recent successes in pilot programs have steered cost sensitive school districts towards new mobile technologies. Media and Forecast firm Simba Information partnered with MCH Data for its latest report,"Going Mobile in the PreK-12 Market," and found that once mobile technology is implemented, schools are reluctant to give it up. Teacher-librarian Rhonda Morrissette, of the Winnipeg Adult Education Centre, shows students how to access and download from the library's digital collection. Could the smell of dusty, tattered library books soon be a thing of the past? Well, not entirely, but one Winnipeg school library is moving to put much of its collection entirely online. The Youth Science and Technology Outreach Program connects tomorrow's researchers with today's leaders in science and technology. The program is designed to inspire young people - particularly high school age youth - to choose careers in science and technology. The Consortium for School Networking (CoSN) today released its Acceptable Use Polices in a Web 2.0 & Mobile Era:A Guide for School Districts, which is aimed at assisting district leaders develop, rethink or revise Internet policies to address the growing use of mobile devices and Web 2.0. One by one, the Grade 2 students step up to the board, grasp an inkless marker and underline French vowels and new words. As if by magic, the textbook page is flipped and a new set of challenges appears. If the kids are lucky, the board will shimmer and transform into a number square that will test their math, language and jumping skills. Chalkboards are unknown in this classroom. Even whiteboards are neglected in favour of the Smart Board, a giant touch-sensitive computer screen familiar to children raised on video games and the Internet. "I like using the Smart Board because it's fun to use and pretty cool," said McAuley Stuce, 8. We got a bit of a breather on the conference front last month having sponsored and attended only one conference-- the Education Strategies conference was primarily post-secondary focused. 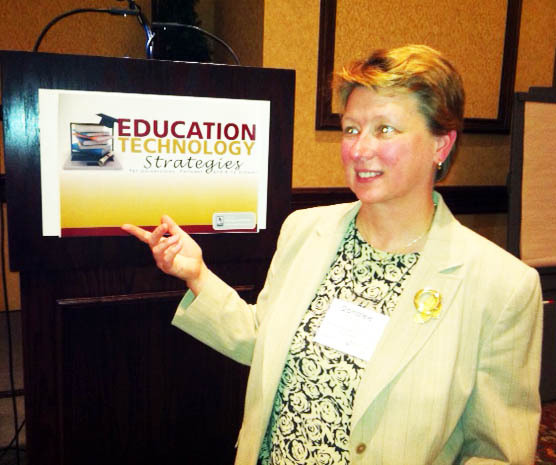 We feature an engaging podcast interview with Dr. Donalee Attardo, Director, Instructional Development Center at Purdue University in our post-secondary section, who keynoted at the event. To be fair, March Break tends to result in fewer events. In light of this, we have some great podcast coverage of previous conferences that deserve attention. Be sure to tell us about your upcoming conferences! We hope you enjoy this podcast interview! Doug Peterson is the former Computers in Education Program Consultant for The Greater Essex County District School Board in Southwestern Ontario. An educator since 1979, Doug has taught Data Processing, Computer Science, Accounting, General Business Studies, and Mathematics at the secondary school level and was the Director of Business Education at Sandwich Secondary School in Lasalle, Ontario. MindShare Learning's Rob Martellacci interviews Dr. Donalee Attardo, Director, Instructional Development Center at Purdue University. Premier Greg Selinger announced that the Technical Vocational Initiative will be expanding with over 6.4 million, in new funding, for high-school and university student programs. Aimed towards the growth of technical-vocational education opportunities, green technology, and resources for students and staff, the initiative is geared to provide access to state- of- the- art equipment to schools for learning tools. With energy efficiency becoming a universal concern, it seems natural that the conversation should move to schools. Johnson Controls' Solar for Schools program brings the focus to the scientific application of solar energy both inside and outside of the classroom. FrontRow, a leading developer of classroomsound amplification systems announced today that the FrontRow Lasso 530IR has received EnergyStar certification under the new Version 2.0 specifications which went into effect on July30, 2010. The FrontRow Lasso is the first classroom amplification solution of all current offerings on the market to achieve EnergyStar certification under the new, more stringent guidelines. The Ottawa-based company Media-X has been in the software business for quite some time. They have much experience developing for the mobile market with various products such as mVal, iNotice and most notably eWalk and they also have extensive experience in web development with their premier MxWeb technology. With this experience and savvy in educational technology they had the insight to begin to develop for the emerging tablet market with a 'new' product called eStudent. This new software is a bit of a change for them since they're developing for a tablet experience, but with their solid reputation and dedication to developing first-rate applications, and with their willingness to listen to and develop for the needs of their customer, it looks like this new foray into the tablet market could prove to be both exciting and liberating. Exciting because it opens up huge opportunities, not only for teachers, but for content creators - publishers, are you listening? - and liberating because the software has been developed in such a way as to give teachers the ability to control their students' learning context through many well designed and purposeful tools that are tightly integrated with the program itself. You'll notice by my title that I didn't say, "Why iPads Make Perfect Sense in the Classroom". Of course, I could have, but being as resolutely Canadian as my neighbor, I have this inbred hope that RIM's Playbook tablet will make a great splash in both the hearts and minds of both the enterprise market, as well as the education market. And further, we cannot forget about Android-based tablets. They're just too entrenched in various contexts and they're the silent army that seems to be making such a large impact both in the smartphone and tablet market because of the many different hardware manufacturers who are adopting this OS for their various tablet devices, both large and small. I am however not foolish either; Apple started this 'gold rush' and so will for the time being anyway, benefit the most, not the least of which is because of their numerous apps that do just about everything one could imagine. I digress. Why do tablets make perfect sense in the classroom? 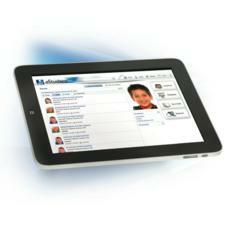 Well, read on to find out the major reasons why going the tablet-way makes sense for classrooms and schools. Gary Woodill is one of the foremost subject matter experts on learning and emerging technologies. 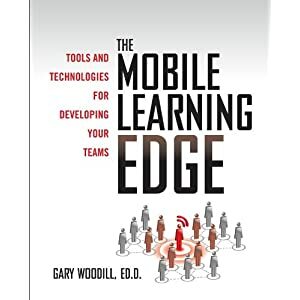 I first met him and purchased a copy of his new book (The Mobile Learning Edge: Tools and Technologies for Developing Your Teams) at last fall's CSTD conference. Intrigued from my first skim through the book which I must admit seemed a bit intimidating, I also signed up to attend an intimate CSTD Toronto Chapter Event on March 10, 2011 in which Gary spoke to an audience of approximately 50 learning practitioners. I walked away learning much, and two simple messages stand out for me. Education Canada Network and MindShare Learning Report are proud to bring you the following featured job opportunities. The Chief Financial Officer/Secretary-Treasurer, working from the central administration office located in the City of Grande Prairie, is responsible to the Superintendent of Schools and the Peace Wapiti School Division Board of Trustees. High Prairie School Division No. 48, located in north-central Alberta, operates 13 schools located in the communities of Falher, Donnelly, High Prairie, Joussard, Kinuso and Slave Lake. For more information click here or email mindshare@educationcanada.com for more information. Education Canada Network is the country's leading source for education employment opportunities. Drop files right from your computer, or the web, to create organized collections-bringing together information like never before. Invite friends or co-workers to collaborate and edit your Dropmarks in real-time. Dropmarks are private and secure, unless you choose to share them (each collection has a handy short URL). Access your Dropmarks via the web and RSS, or get nerdy with our API-it's your data after all, use it however you want. It's not about "social media" (we won't ask you to "follow" anyone), it's about organizing and sharing your ideas in the easiest way possible. Your team on the same page. Literally. A collaboration tool that helps you share and visualize ideas in real-time. Upload any file with a drop. With our simple drag-and-drop interface you can upload any kind of file you want to share. Simple as that, no fuzz. Invite collaborators quickly through our sharing function. Type in their e-mail and it shoots straight to their inbox. You see what I see. Share your ideas in real-time to avoid miscommunication. Are you putting graphics onto mobile screens? If you're designing web sites for mobile, you need to make sure your graphics work on thousands of differently-sized screens. Let tinySrc take care of the hard work. It's very easy. You provide the URL of a large image, and tinySrc dynamically shrinks it down. Simply provide the address of the image, indicate how you want the image to display, and tinySrc will do the rest. Language offers a framework for meaning. Please think about that powerful idea. We understand the world through words. The words you use determine the way you perceive reality. If you call a stumbling block a "problem" or "a big mess" you will create a different emotional state within you than if you call the issue "an opportunity" or "a challenge that will only make me better." I have the privilege, as a success coach, to work with many extraordinarily successful people from around the world. An idea from the Ministry of Advanced Education and Technology could see University of Alberta students able to access academic information at schools such as the University of Calgary and other post-secondary institutions in the province using nothing more than a barcode on their cell phone. YouTube is partnering with universities to launch a new media program series for aspiring digital filmmakers. The video-sharing website announced Thursday it would launch theYouTube Creator Institute with the University of Southern CaliforniaSchool of Cinematic Arts and Columbia College Chicago. It says the schools will offer on-campus and online educational courses to its users so they can "hone their digital media skills and accelerate their YouTube careers." A group of recent university graduates are attempting to make technology more prevalent in the classroom. "As engineering students we went through the university experience and found that lectures were pretty bad," said Mike Silagadze, founder and CEO of Top Hat Monocle, an interactive learning program that utilizes computers and mobile devices to increase communication between professors and students in the classroom. How Algonquin College changes what it means to educate in the mobile universe we now live in. The college recently integrated technology into the learning environment. They opened the Algonquin Mobile Learning Centre, a collaborative learning environment using mobile and cloud computing technology. Robert Gillett, President of Algonquin College explains: "We surveyed our students last fall and found that 80% of them are brining their own mobile computing devices to the college, and this number continues to rise." They're preparing to go fully mobile by 2013. This amazing new lab created over 100 new mobile computing spaces for students to have a place to bring their mobile technology, e.g. iPad, laptop, smartphone. This SXSW panel looks at mobile learning technologies that get youth outside, "envisioning a classroom framed by the sky, earth, and everything in between." Youth today are actively exploring their own learning. Mobile learning technology can be seen as the new arena in experiential and informal learning, that's a good thing. The expert panel at SXSW addresses the integration of mobile technology in classrooms that offer learning opportunities that we wouldn't be able to do before, and they're right. As a young tech enthusiast, I'm over the novel excitement that iPads, tablets, cell phones etc. have brought us. At this point we're all interested in how we effectively use mobile technology in the classroom to do open-ended projects and encourage learning outside at home, in museums, baseball games and everywhere else. A Gallop poll asked young people aged 15-29 from 148 countries all over the world where wished to go to school. here is an infographic of that poll. Are you an educator working to support environmental stewardship amongst youth? Then step up to the Tread Lightly Educator Challenge for a chance to win $1000! TakingITGlobal and the Staples Foundation for Learning want to recognize the commitment and passion of educators who are using the Tread Lightly program to engage youth in learning about climate change. Through the Tread Lightly Educator Challenge, our goal is to showcase inspirational stories from teachers around the world who have engaged with the program while rewarding exceptional examples of leadership and innovation in the field of environmental education. Share your Tread Lightly story by May 20, 2011 for your chance to win! Learn how students at Chambly High School in Montreal use Epson BrightLink to enhance the mathematics class experience. Toronto - TVO, Ontario's trusted provider of innovative, award-winning educational multi-platform content for kids, is pleased to announce the launch of two free apps for BlackBerry� smartphones for early learners and school aged- kids. Both games support learning objectives from the Ontario school curriculum, have been teacher and classroom tested and are designed for BlackBerry� smartphone devices with OS 5.0 and higher. At the start of 2010,Apple's iPad had not even been announced, let alone released. But within months of the tablet computer's April debut it was being adopted in boardrooms around the world as the favourite toy of executives as diverse as WPP's Sir Martin Sorrell and News Corp's James Murdoch. "The Connectors, Leaders and People on the Move"
In late breaking news Ron Canuel of the CEA shared a link to the recently released Project Tomorrow Annual Report on ICT and mobile learning that includes Canadian data where Districts have participated. Click here to view. It's always great to hear from Cheryl Paige, award-winning principal from Joyce Public School. As one of Toronto District's most technology infused and innovative schools, it has attracted considerable media attention as a result of their exceptional math scores. The following are a couple of examples that principal Paige shared... a TVO piece and a cover story in Voice magazine, entitled Literacy in a Global, Digital Age. No shortage of people on the move! Mark Roman, proven technology leader, joins CANARIE as President and CEO, Jim Ghadbane appointed Chief Technology Officer. Congratulations to Dr. Sue Vail, who has been appointed AVP of Teaching & Learning at York University. Dr. Vail is former professor of mine in the Sport Admin program. With her new focus on student engagement, her exceptional leadership skills and sports background will serve her well. Best of success Sue! From our friends at Edutopia What Makes for a Master Teacher? Speaking of Edutopia. It was great to catch-up with Chip Fesko, Sr. Director of Advertising & Strategic Alliances and MSL Report advisory board member recently. I look forward to seeing you at ISTE 2011 in Philly! I had flashbacks to my Macromedia consulting days upon learning that Stephen Elop, former Macromedia executive, now chairman and CEO of Nokia Corporation and McMaster alumnus, came to town for a speaking gig at the University this past week. You have to admire Canadians who take the risk to achieve success outside their homeland. After a successful track record at Macromedia, Stephen did a stint with Microsoft and has since landed at the helm with Nokia. It will be interesting to see how he transforms Nokia, who is an original manufacturer of rubber boots...not kidding! Let's wrap-up this issue on a high note, with the Top Ten TED Talks Media Education Project that is housed out of the University of Guelph. Ping me to let me know which you liked best? As always, we welcome your news and success stories. Until next time, be sure to walk the digital talk! Cheers, R.